M-Theory's Upcoming Gigs Sat 25 May, 19 M-Theory & DM-Theory Live @Taurus Connection, Torino , Torino, Italy Sat 08 Jun, 19 M-Theory Live @Zurück zu den Wurzeln Festival, Germany, Germany, Germany Fri 12 Jul, 19 Cimi Live @Noisily Festival 2019, Somewhere in the woods, Baska, Croatia Fri 26 Jul, 19 M-Theory @Own Spirit Festival, Spain, Spain, Spain See the full listing here http://gigs.gigatools.com/u/MTheory Powered by GigaTools M-THEORY features a distinctive and fat kick and bass sound with tight rhythms and quirky loops delivering a unique psychedelic groove. This psytrance project has been constantly evolving and is finding ever more ways to express its maverick sound musically. M-THEORY has produced a full studio album and several EPs, remixes and tracks on a number of established labels such as Digital OM, BMSS, Blacklite, Grasshopper, Antu, Free-Spirit, Profound and Alchemy. 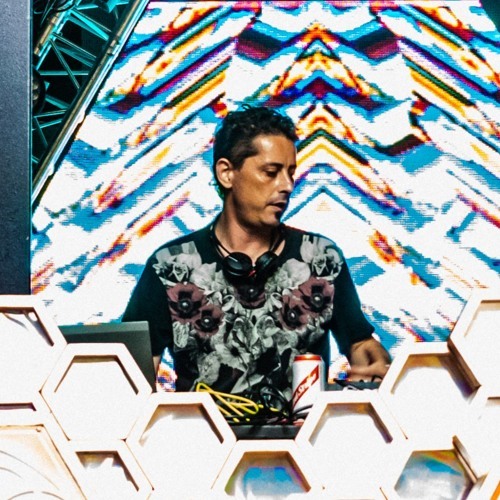 He has played at some of the leading festivals around the world like Boom, Ozora, Universo Paralello, Antaris, Fusion, The Experience, Indian Spirit, Shankra and Sonica, as well as in club nights across Europe and at London underground parties. He has worked with prominent names in the scene including Zen Mechanics, Sonic Species, Pixel, Rinkadink, Burn In Noise, Earthling, Outsiders and Hypnocoustics. He has also remixed tracks by the likes of Avalon, Gaudi, ManMadeMan and Cosmosis.